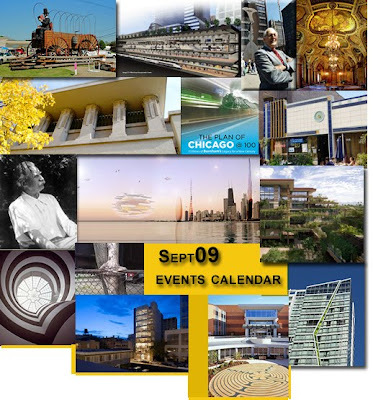 September not only sees the culmination of the centennial celebration of Daniel Burnham's 1909 Plan of Chicago, but of Frank Lloyd Wright's iconic Unity Temple, which celebrates with a gala raising funds for the building's restoration. Preservation Chicago has its own autumn benefit in the Elks Memorial. Pecha Kucha goes nuts, with no less than three events: at Martyr's, downstate, and at a new exhibition opening this Friday at the Chicago Visitors Center, Big. Bold. Visionary. Chicago Considers the Next Century, which finally gives Chicago architects the chance to bring their talents to the Burnham celebration. 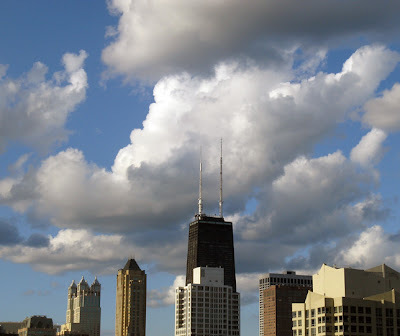 On Wednesday at the Pritzker Pavilion, there's the premiere of Judith McBrien's long awaited documentary, Make No Little Plans: Daniel Burnham and the American City. Jackie Koo discusses her new Wit Hotel for Friends of Downtown, also on Thursday, and gives a tour for the IES, Chicago Chapter. The School of the Art Institute launches an ambitious lecture series with Kathleen James-Chakraborty and Narelle Jubelin. CAF welcomes the authors of Beyond Burnham at a lunchtime lecture, and hosts a talk by Pamela Bannos on the old Chicago city cemetery, whose residents were forcibly relocated to create Lincoln Park. 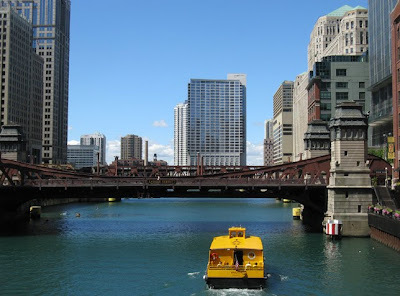 The Chicago Central Area Plan, the restoration of the Guggenheim, a Glessner House celebration of the life of Leon Despres, IDOT capital spending, David Hovey, Jens Jensen, and a historic pub crawl (pickling: my kind of preservation). And, as they say, much, much more. 60 great events and growing. Check them all out here. As I'm reminded every morning when I face myself in the mirror, nothing lasts forever. Not even wonderful things. Not even the Prairie Avenue Bookshop, which will be closing its doors end of business on Monday, August 31st. It billed itself as the world's largest architectural bookstore, and who could argue? From the window of its capacious home at on south Wabash you had a great view of the Auditorium Building, Adler and Sullivan's peerless masterpiece, and within it's warm interior, so handsome it was used as Christopher Plummer's architectural offices for the film, The Lake House, you encountered an intoxicating selection of books and periodicals you'd find in no other store. 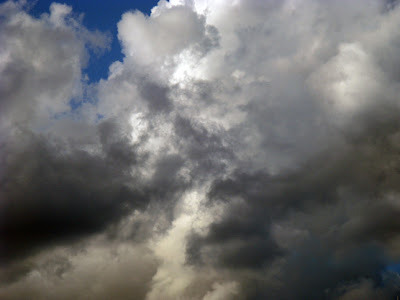 It would be cold, indeed, not to sense the sadness of the occasion. 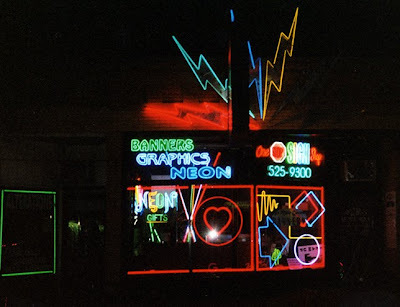 But better to celebrate that something so remarkable survived so long, going back 35 years to its original location, on Prairie Avenue next to H.H. Richardson's Glessner House, when Chicago's one-time street of millionaires was still troubled and derelict. 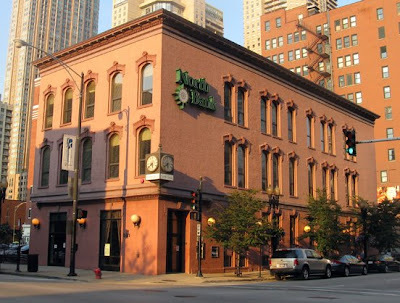 Not only did this shaky idea for a business survive, it endured, soon moving to quarters in the middle of the revitalizing Printers Row district. Then, finally, to its present home - six times larger and offering up as much as 14,000 volumes. 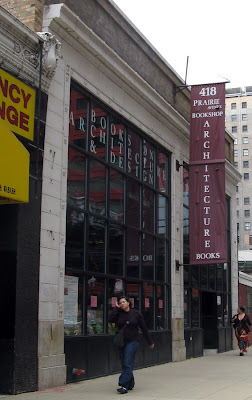 And lest you be tempted to think Prairie Avenue's closing extends from overreach, consider how many bookstores Prairie Avenue has outlasted: Kroch and Brentano's just up the street, its flagship store now a false front for a soaring new condo tower. Not so long ago, there was also a Kroch's in Water Tower Place, along with a Rizzoli with an international flavor and an unparalleled selection of art books. The British-flavored Waterstone's was just across the street. The inimitable Stuart Brent held down the fort for decades further south on Michigan. Then Borders opened a superstore in the old Magnin's department store, and soon the dominoes became to fall. In short order all of them were out of business, leaving only the cockroach-like Waldenbook outposts, more like glorified airport terminal kiosks than the real thing. 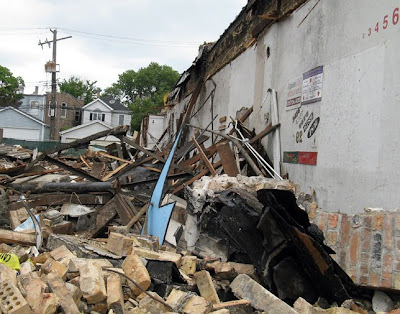 In weak moments, you might imagine that Prairie Avenue might have survived if they just did more, more of something - better use of the internet, more book signings, more opening up the store to meetings. But consider this: This past winter, Borders announced that, even after driving out all the competition, their Michigan Avenue flagship wasn't meeting expectations, and was to be closed after the 2009 Christmas season. If they can't figure out to make a go of a bustling location with long lines backing up from the checkout counters, it's a bit churlish to expect that Prairie Avenue could have done better. In this dawning age of ebooks, the Kindle, and listening to best sellers being read to you by celebrity voices on your iPhone as you commute to work, the question is no longer one of the survival of bookstores, but of books, themselves. If you haven't already, stop by on Monday. 418 S. Wabash, hours 10:00 a.m. to 6:00 p.m. All titles are 70% off. 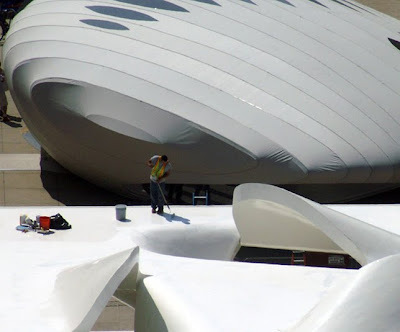 In terms of selection, all the most usual suspects are pretty much gone, but there's a marvelous sampling of interesting underdogs, their monographs finally shining brightly, now that they're out of the shadow of big brand bullies like Gehry and Wright. There's still a good collection of out-of-print titles, and of periodicals, including issues of the invaluable Prairie School Review, created by the Hasbrouck's in the 1960's. You may not find exactly the book you came to buy, but you'll likely find something unexpected that will delight you. And so, let's celebrate a fantastic run. Not just the books, the bricks and the mortar, but the great staff, Karl and Beth Eifrig, Emily Tamblyn, and, I know, others I'm leaving out, who were always there to find the books I needed right now to meet my deadline, and, of course, Marilyn and Wil Hasbrouck, who kept the Prairie Avenue Bookshop a remarkable Chicago cultural asset for three and a half decades. What we owe them is beyond evaluation. A reminder that the ArchiTech Gallery's current show, Marina City: Bertrand Goldberg's office materials for the design of Marina City is entering it's final weekend, closing after Saturday, the 29th. It's a small show, but with some fascinating stuff. 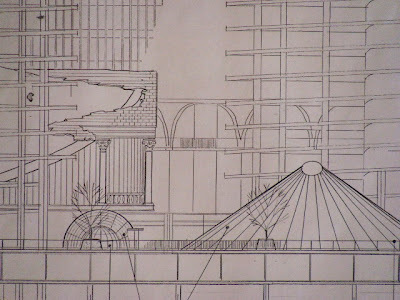 There are original blueprints, and detailed drawings of the original design for the complex's theater, now the House of Blues. There's a proposed project from late in Goldberg's career another major residential complex at Grand and Lake Shore Drive, two matching towers, set atop two podium cubes united with by a ribbon of glass and sharing, like Siamese twins, a central spine. The rendering, which ArchiTech's David Jamison speculates may have been done by longtime Goldberg associate Ben Honda, is colorized in a way that makes it look like a collaboration with R. Crumb. 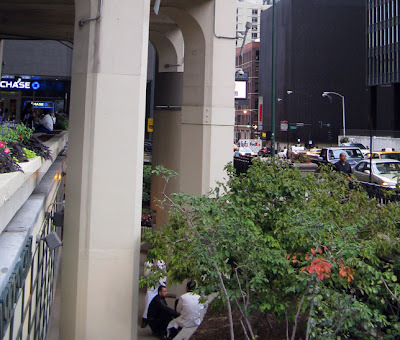 Equally fascinating are Goldberg's 1995 ideas for updating Marina City and converting the theater to the Chicago outpost of the House of Blues. Goldberg did not get that commission, and Jamison believes that an increasingly unsatisfactory relationship with the complex's then new owners may have resulted in Goldberg taking out his frustrations by giving the owner's exactly what they wanted, including a new classical front for the House of Blues, with gigantic Corinthian pilasters along Dearborn street, and a neo-classical bridge running from the theater to the office building that was being retrofitted as the House of Blues hotel. There's also a large escalator, clearly marked "bowling", running from the moat along State Street up to the plaza level and the entrance to the bowling alley. It was actually was an interesting idea to deal with those moats, part of the original design along State and Dearborn streets that insulated the complex from what was then a very rough and tumble surrounding neighborhood, but now serves only to isolate it from a newly vibrant River North, functioning primarily as a smoking refuge for Smith & Wollensky waiters. 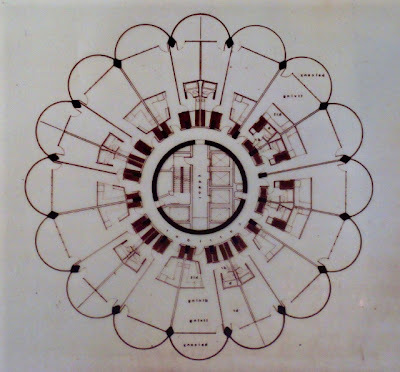 On the ArchiTech Gallery website, there's also a link to a great lecture Bertrand Goldberg gave in Edmonton, Canada in September of 1959, long before Marina City's construction actually began, in which he explains the ideas behind his revolutionary project. It is impossible to eliminate all risks associated with any real estate endeavor including the Olympic Village. As has been recently observed in Vancouver, host of the 2010 Winter Games, turmoil in the global capital markets leading to the loss of developer financing during construction can create considerable risk to taxpayers. 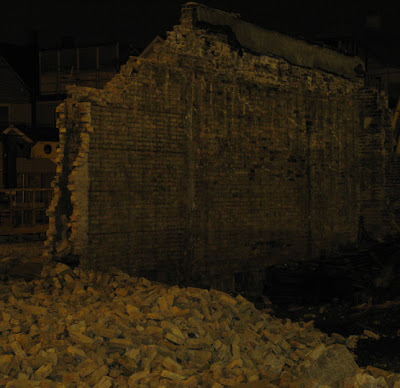 Chicago 2016 proposed several layers of protection from the financial risk associated with construction of the Village. The Bid Committee proposes using a team of developers and notes that the original plan projected to cost around $1 billion could be altered if it does not attract qualified bids from developers. The strategy of using numerous qualified developers is a fair and reasonable step to reduce some risks of the Village as proposed. Although a sound strategy, this does not fully protect against distressed markets. proposed $68.3-million budget for insurance for the Games. If developers proceed with the Village as planned and are not required to buy the insurance, then taxpayers could be exposed to risk. The Civic Federation Olympics analysis page here. Download the Narrative Summary here. The preservation group Landmarks Illinois has created a stunning alternative plan for an Athletes Village on the former Michael Reese Hospital campus that not only saves five irreplaceable Bauhaus-inspired 1950's structures designed with the participation of the great German-American architect Walter Gropius, but improves on the official plans from Chicago 2016 both for the Olympics and the city, during and after the games. Read all about it and see all the striking renderings, plans and images here. 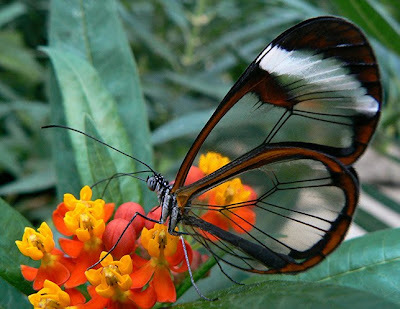 via Petapixel we give you this photo by Eddy Van 3000 of greta ot0, a South American clearwing butterfly, nature's version of "almost nothing" when it comes to Papilionoidean structure. 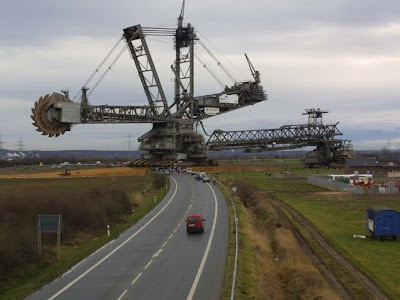 Why Did the World's Largest Digging Machine Cross the Road? a. it's afraid of mice. b. it's going to an audition for the West Loop Transportation Center gig. d. it's the prop that's put Terry Gilliam's latest opus major over budget. via Petapixel and michaelgriswold.com, we give you Bagger 288, the latest of a long line going all the way back to Bagger 1 at Treasure Island in the 1970's. Looking like the mutant progeny of a Swiss army knife and a really big can opener, it's a proud product of Krupp, those wonderful folks that gave you espresso machines and WWII. The actual purpose is to strip mine coal but, hey, let's use a little imagination here. 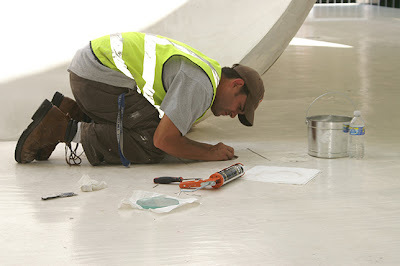 Is there anything better than watching other people work? 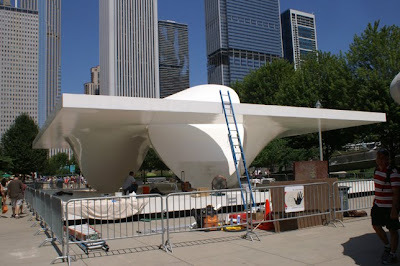 The restoration of the van Berkel/UNStudio Burnham pavilion, courtesy of our indefatigable correspondent Bob Johnson. 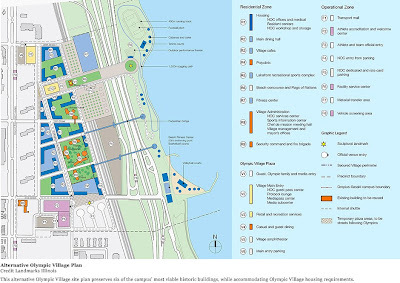 This morning, preservation group Landmarks Illinois released an alternative plan for an 2016 Olympics Village on the former Michael Reese campus that would save what the group calls "six of the campus’ most viable historic buildings for re-use, reintegrates the area’s street grid, saves significant landscaped areas, and retains the required amount of Olympic Village housing to meet the requirements of the International Olympic Committee (IOC)." We'll be writing more about this after we have a chance to review the proposal more thoroughly, but you can check it all out for yourself here. This is a major development in the fight to save the best of the Bauhaus-inspired architecture at Micheal Reese. 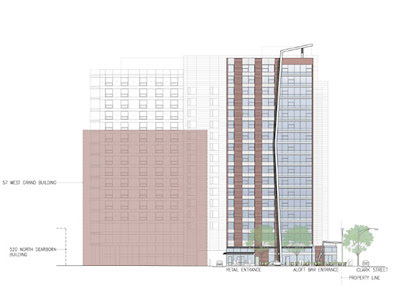 Again, there's a wealth of information - and images - on the proposal here. 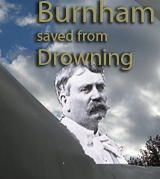 On September 4th, the day Daniel Burnham would have celebrated his 163rd birthday had they not cremated him in 1912, a new exhibition, Big. Bold. Visionary: Chicago Considers the Next Century, will feature the work of Carol Ross Barney, Larry Booth, Dirk Denison, Sarah Dunn, Martin Felsen, Paul Florian, Gordon Gill, Ralph Johnson, Dirk Lohan, John Ronan, Linda Searl, Adrian Smith, Stanley Tigerman, Joe Valerio, Brian Vitale, David Woodhouse and Brininstool+Lynch, whose The Chicago Grid (City of the Future), is shown above. 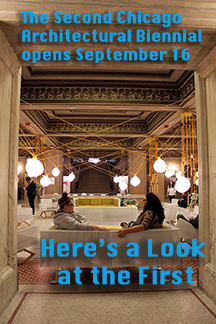 The show, curated by Edward Keegan, will run at the Chicago Tourism Center, 72 E. Randolph, through October 4th. It sounds a lot like the Visionary Chicago Architecture project that Stanley Tigerman curated for the Chicago Central Area Committee back in 2005, which offered a selection of super-sized projects, some enthralling, some appalling, many an amalgam of both, but all strong expressions of the kind of vibrant Chicago architecture that has so far been missing from the Burnham celebration. And, yes, I know it's all supposed to be about the whole "make no little plans" thing, but is too late for a counter exhibition along the lines of Let's Get Small: Burnham on a Human Scale? 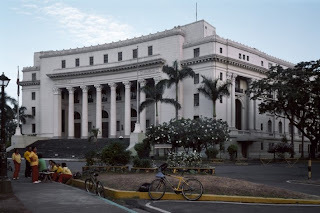 Also on September 4th, another exhibition, Daniel Burnham's Enduring Vision for the Philippines, will open at the City Gallery of Photography in the Water Tower and will run through December 31st. 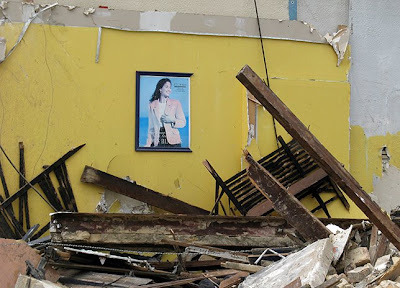 The exhibition considers the legacy of Burnham's 1904 Plan of Manila, as seen in the work of photographer Tim Long, taken during a residency in Manila in 2007-08. 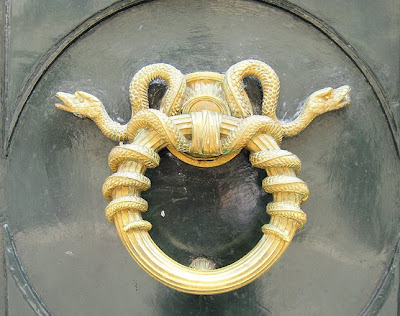 Paris Streetscene - What Knockers! The Gropius in Chicago Coalition is seeking a strong showing of public support tonight for the saving on the Bauhaus-inspired buildings on the former campus of Michael Reese campus. The organization describes the community input session at the Chicago Urban League as "possibly one of the last opportunities to support a more sensitive redevelopment plan for the South Side . . . This may be one of our best chances to make an impact to the 2016 Olympic Committee." 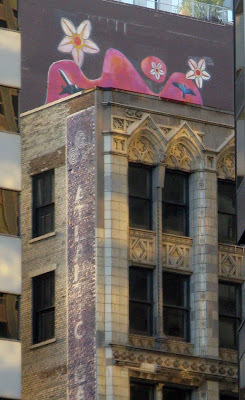 The Chicago Urban League is at at 4510 South Michigan. The meeting begins at 6:00 p.m., but the Coalition is urging supporters to "arrive earlier." 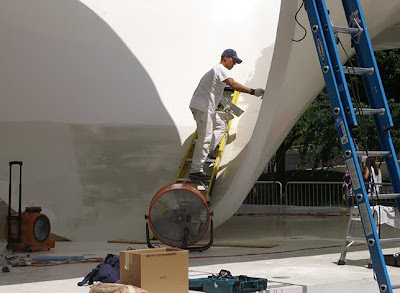 During the day, the flaws of the highly dysfunctional pavilion designed by Zaha Hadid, which just opened this past week. a month and a half behind schedule, are all too apparent. 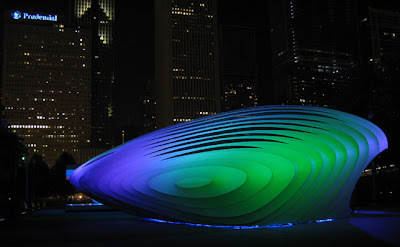 At night, however, the projection of colored lights on the stretched tent fabric, like the skillful use of makeup on an aging ingénue, create a rich illusion of beauty. See all the photo's, plus the metamorphosen video, here. We knew it was too quiet to be true. Turns out we've just added over a half dozen new events to the August calendar, and most of them are going on this week. You may still be able to get tickets to SOAR's annual fundraiser honoring Adrian Smith on Monday the 10th. 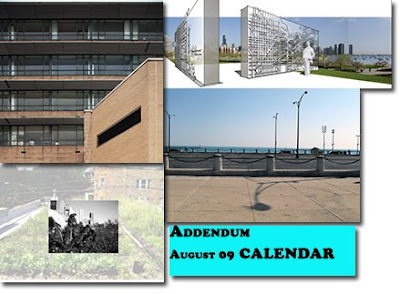 On Tuesday, the 11th there's a critical meeting at the Chicago Urban League on the 2016 Olympics and the gravely endangered Bauhau-inspired architecture, designed in part by Walter Gropius on the former campus of Michael Reese Hospital. Also on Tuesday, the winning design by David Woodhouse Architects for a proposed Burnham Memorial will be presented at a Grant Park Advisory Council session, which will also discuss alternatives to the current closing at Queens Landing. 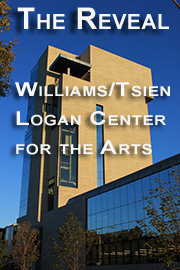 On Wednesday the 12th, there'll be an all day symposium on The Green Scene/Organic Networking, and in the evening, for those of you speak Spanish or can bring along an interpreter, Susan V. Webster will lecture on The Conquest of European Architecture: Native Masters and the Construction of Colonial Quito at Northeastern Illinois on the WTTW campus. Thursday through Saturday, Urban Habitat Chicago will be sponsoring a conference, Chicago 2175: Creating the Change, and on Thursday the 27th, ULI Chicago will be offering up its summer networking events. 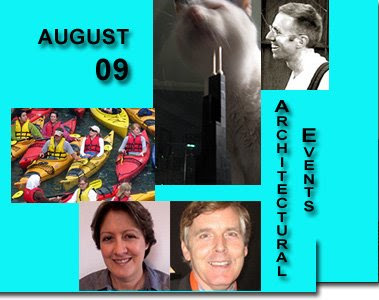 Check out these great events - and the many others on the August calendar here. As could be expected, on Thursday the Commission on Chicago Landmarks, like Pontius Pilate, washed their hands of responsibility for the fate of the Bauhaus inspired buildings, designed in part by famed German architect Walter Gropius, which have the misfortune of residing on the former Michael Reese Hospital that Mayor Richard M. Daley wants obliterated so he can build an athletes' village for his 2016 Olympics. 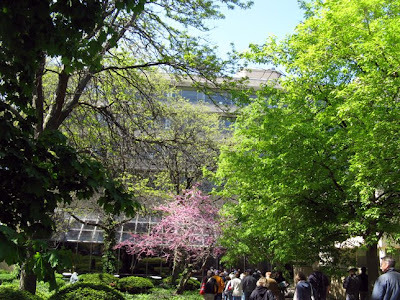 The Commission was responding to a nomination by activist and scholar Grahm Balkany of the Gropius in Chicago Coalition to place the campus on the National Register of Historic Places. As reported by the Trib's Blair Kamin, the repulsion was accomplished with such sweet reason - who could object? The boundaries of the nominated district were "poorly drawn" and the individual structures subject to additions and alterations down through the years. It seems to make sense, until you remember that just two years ago this same commission approved demolishing the landmark Farwell building and replacing it with a completely different building on which the old facades would be pasted, without the commission finding any "structural integrity" issues worth worrying about. Those with the clout rewrite the rules to their benefit. 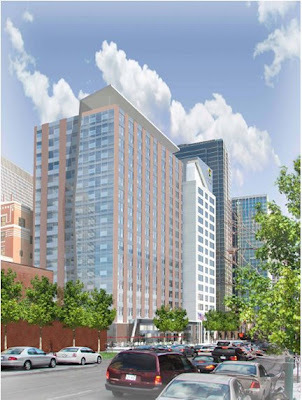 In the Farwell case, it was a clouted developer basking in the very public favor of city hall. In the case of Michael Reese, it's the seemingly inexhaustible clout of the mayor, himself. 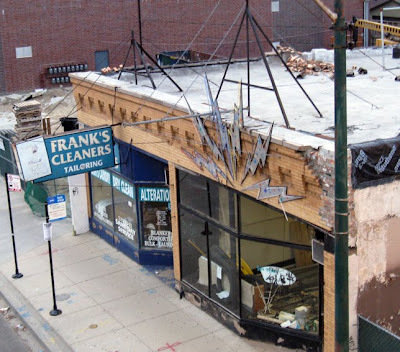 So now "structural integrity", later additions to intact buildings, in most cases reversible, has become an immovable obstacle on which the commission justifies its inaction on Michael Reese. And, of course, the Commission covers itself in the usual dishonest intimations of fair mindedness. Blair actually wrote the following sentence, apparently swallowing the kool-aid whole: "Despite the "no" vote, there was a glimmer of hope for the Gropius coalition when commission members and staff commented publicly that a revised plan might win their support." Both commissioners Phyllis Ellin and director Brian Goeken were quoted as speculating that that an unnamed someone might be able to put together a revised plan that would meet their approval. Wait a second: as the prime protectors of Chicago's architectural legacy, isn't that their job? 1. No matter how important the best of the Michael Reese buildings are, the Commission, under the thumb of its parent, the former city planning and development department, has never had any intention of risking offending the mayor by doing anything to protect any of the modern Reese buildings. 2. 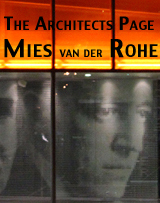 Although the threat to the Bauhaus inspired architecture at Reese has been a very public issue since March, there is no evidence that the Commission has ever lifted a finger to consider this issue, despite the fact that all these buildings are in imminent peril of being lost forever. 3. It is only because of the nomination that Balkany filed with the National Register that the Commission was forced to take up the issue of Michael Reese. 4. There is no evidence that the Commission has any intention of moving a muscle to create the kind of alternative plan that would gain the acceptance Ellin and Goecken dangled before our eyes on Thursday. 5. The Commission will do nothing. If forced to do something, it will delay, knowing that if they hold off for just a few months, the campus will be demolished and all issues will be moot. Problem solved! 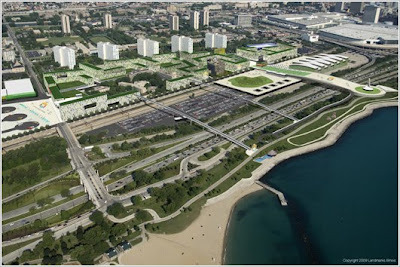 On a related note, also yesterday, the Sun-Times revealed that the city, in addition to borrowing $85 million to acquire the Michael Reese site, also intends to create a new TIF district that will siphon off at least $100 million in tax revenues from the surrounding neighborhood to co- finance the Olympic Village. Mayor Daley's 2016 Olympics: the gift that keeps on taking. Is Landmarks Commission Irrelevant? Session on Michael Reese today will tell. As time runs out on the historic Bauhaus-inspired campus of Michael Reese Hospital, designed with the direct participation of architect Walter Gropius, the Commission on Chicago Landmarks will consider the fate of the campus at its regular monthly meeting, taking place today, Thursday, August 6th, at 12:45pm at City Hall, 121 N. LaSalle Street, Room 201-A. It is open to the public, and those supporting Chicago architecture are encouraged to attend and to speak out. What's at stake? Well, the staff of the Commission on Chicago Landmarks does incredible work in researching, documenting and saving essential Chicago architecture. 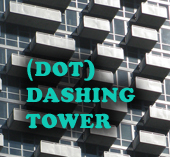 In a rank conflict of interest, however, they are a subsidiary of the Department of Community Development - the former Department of Planning - whose job is promote development, under at the administration of mayor Richard M. Daley, blindly and at almost any cost. The actual commission is a body of well meaning, distinguished Chicagoans appointed by Mayor Daley to make sure that the landmark process is never allowed to become an inconvenience to those plans, no matter how ill-advised. As a consequence, the Commission has mostly been a rubber stamp, missing in action, on the most contentious and important landmarking issues. In the case of the Farwell Building, it willingly played into the hands of people like Albert Hanna - who's recently got the landmarks law ruled unconstitutional by a hack political judge - when they voted that they saw no difference between a landmarked building, a completely different building constructed on the same site, and the stripped facades of the original landmark pasted onto the new building. The decision was justified as an "exception", but in the law, there are no exceptions, only precedents, and the Farwell vote opened the floodgates to eviscerating the very concept of landmark protection. Now they're considering Michael Reese. Not because it's right, but because they were forced to. Grahm Balkany, the dedicated scholar behind the Gropius in Chicago Coalition who has been working overtime documenting the Gropius connection to Reese and lobbying tirelessly to save this irreplaceable piece of Chicago's cultural and architectural history, submitted a nomination of Michael Reese to the National Register of Historic Places, which the Chicago commission is forced to consider. This is another critical vote that will determine whether landmarking will have any meaning in the face of Mayor Daley's Olympic obsession. In the mayor's mind, the 2016 is the highest possible good, and he will ruthlessly sacrifice and destroy anything that stands in his way. 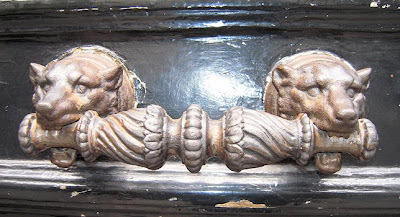 We've written extensively about the importance of the campus and its buildings, more recently about how all the memorial plaques throughout the campus have disappeared, as has an important sculpture by Richard Hunt, quite possibly to be sold for scrap. 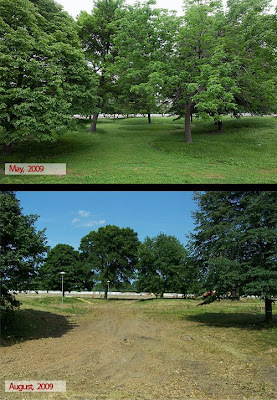 Only days ago, we posted on how the wonderful landscaping on the campus by Hideo Sasaki and Lester Collins has been wantonly destroyed to no good purpose. If the landmarks commission does not take a stand today, they will be putting their stamp of approval on such destruction. 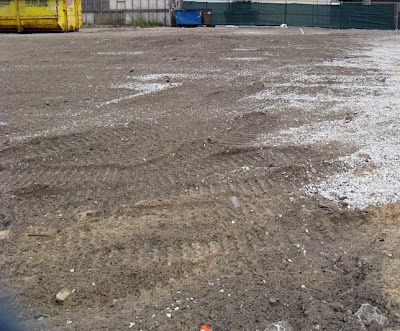 No park, no building, no cityscape will be safe from Daley's scorched earth plans. Where will their loyalty lie? Blindly, to the man who appointed them? 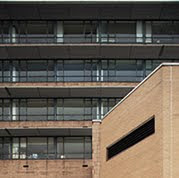 Or to their charge as the last and most critical protectors of Chicago's incredible architectural legacy? 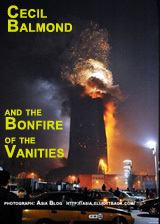 There was absolutely no need or reason for this act at this time, except to deliberately destroy beauty to make the site worthless, to leave no other option but acquiescence to the mayor's Olympic obsession. 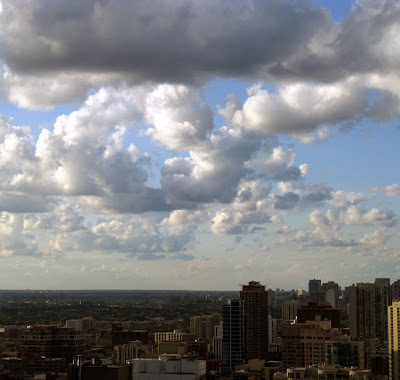 Mayor Richard J. Daley asked, "What trees do they plant?" His son answers, "We rip 'em up by the roots and throw them away. Who cares?" See more photos of his handiwork here. Hear that sound? That faint, chirping crickets sound? It's August, and a lot of people and institutions are taking the month off, as if they expect summer to finally arrive this year. Don't be fooled, however. For those of us not being remanded to the countryside, there's a rich, if reduced selection of events. Just this Tuesday, there's a great panel at the Cultural Center on Burnham and beyond that includes Carl Smith, Dunn and Felsen and more. 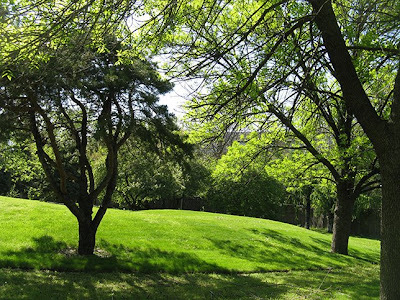 On Wednesday, AIA Chicago is offering a tour of Optima's Old Orchard Woods. 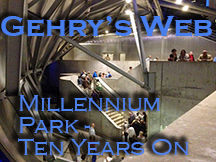 On Thursday, Herb Berg discusses the underbelly of Chicago for Friends of Downtown, also at the Cultural Center. SEAOI's SEPAC has its cocktail part at the Cliff Dwellers, complete with spectacular views of Millennium Park, CAF offers up its third and final panel on Reinventing Public Investment, Sundee Wislow and Sara Beardsley discuss the Greening of Wee Willie, the tower formerly known as Sears, for AIA Chicago, which also has a session on working with the GSA, and a kayak tour of downtown architecture, while APA considers lessons from the last boom. And no matter how many people skip town, there'll always be AIA Chicago's First Tuesdays Happy Hour and ARE Study Halls. In his newsletter to constituents, 42nd ward alderman Brendan Reilly released a Powerpoint presentation that HOK Architects gave at a recent community meeting that depicts the designs for three interlocking hotels, totaling 601 rooms, that Friedman Properties is proposing to build on the western half of the block between Dearborn and Clark, Illinois and Grand in River North. The first casualty of the project would be the 19th century building at 501 N. Clark, conveniently left out of a sprawling River North landmark district that was hastily sprung last October only to fall into limbo after screams by affected property owners, including Friedman, the "King of River North," who has been instrumental in transforming the area from a skid row to one of the most popular neighborhoods in the city. We may be entering the declining stage of Albert Friedman's stewardship. 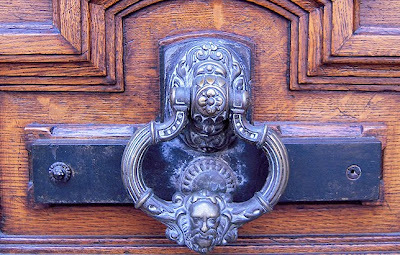 As a rescuer of landmark properties - the original foundation of his empire - he's sine qua non. As a developer of new construction, he's turning out to be just another enabler of junk architecture. The designs presented for the hotels are dull as dishwater, and would be a major contributor to the usual trajectory of a hot area made attractive by a storehouse of interesting architecture becoming overwhelmed by increasingly large scale projects that overtake and smother its character. The newer megabuildings are basically parasitical. They add density and economic value (and, of course, get their own substantial cut in return), but give little to nothing back to the urban fabric. 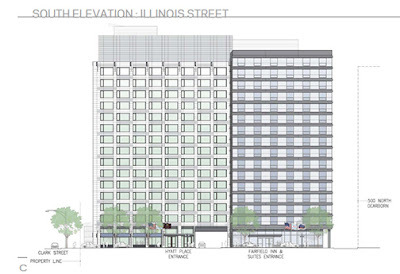 The Fairfield Inn design at least promises a fairly open facade. 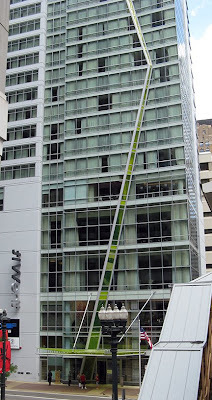 The Hyatt looks like a second rate hospital, the Aloft like an upscale SRO, with a stripe along the short facade that seems to be a street vendor knockoff of Jackie Koo's bold green lightning bolt on the new Hotel Wit. The next shoe to drop may be just across the street, where the U.S. 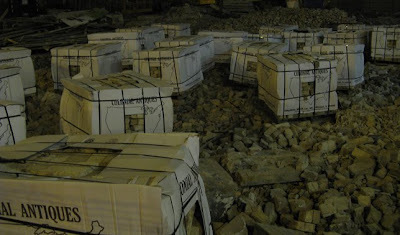 Postal Service is looking to unload the Myron Goldsmith designed Fort Dearborn facility for the highest possible economic return, meaning the last opportunity to provide a real park for the exploding residential density of River North may well be lost to another series of overscaled, built to to-the-lot line, dead-as- a-beached-cod towers. Where's the collapsed real estate market when you really need it?